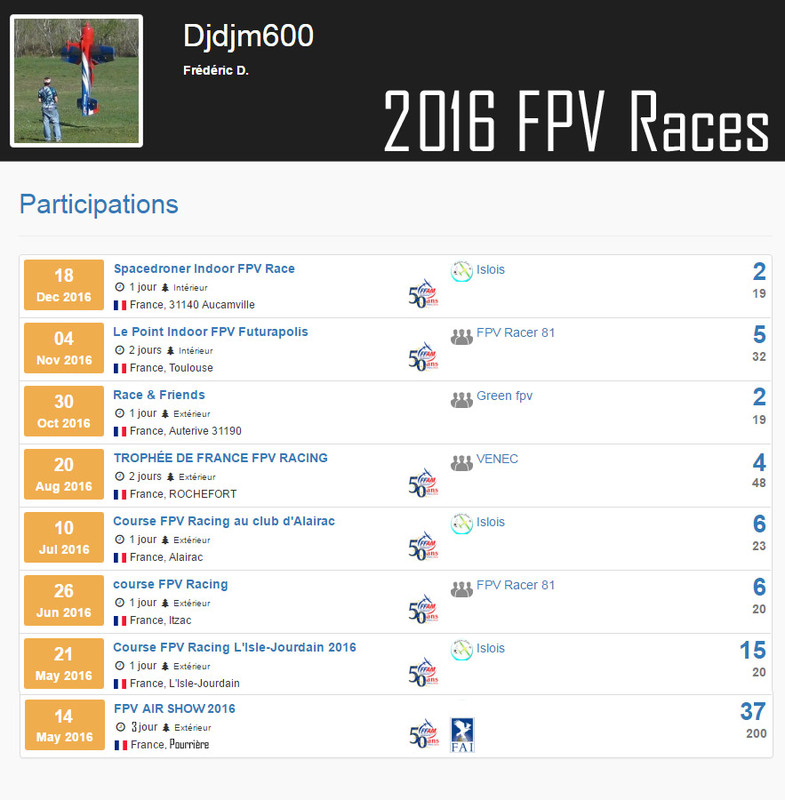 2014 : FPV Racing beginning. 2013 : RC Drone Model beginning. 2009 – 2012 : Technical Data for Airbus Compagny. 2012 : Speed RC Jet Record at 531 Km/h with UltraFlash Carf. 2012 : French Xtrem Freestyle Championship. 2010 : French F3p Championship. 2006 – 2009 : Repair Operator on A-320 for Airbus Compagny. 2008 : RC Jet Model beginning. 2008 : RC Youtube Channel beginning. 2007 : Home Page dauch.fr beginning. 2005 – 2006 : Manufacture Operator on A-320 for Airbus Compagny. 2004 – 2005 : Balance Operator on turbine engine for MicroTurbo Compagny. 1998 – 2004 : Manufacture Operator on A-320, Falcon 900, MD90, ERJ 190 for Latécoère Compagny. 2003 : RC Heli Model beginning. 1996 – 1998 : Student at LPPIA Aérospatiale for Latécoère Compagny. 1990 : RC Aircraft Model beginning.